Years waiting on death row, inmates told their fate just hours before their execution, and guards paid $180 to do an “unbearable” job –- Japan’s capital punishment system is criticised as cruel and secretive yet remains popular. Unusually for a major industrialised power, capital punishment in Japan enjoys broad public support with few calls for its abolishment. Inmates are executed not by professionals but by ordinary prison staff who may have been guarding the condemned for months or even years, and who receive an extra pay of 20,000 yen ($180) each. “It’s awful, the body bounce70-kilogramme object on a nylon rope,” said Toshio Sakamoto, who witnessed noosed inmates plunge to their deaths, and described the process as “unbearable”. Blindfolded convicts, usually serial murderers, are led to a spot with their feet bound and hands cuffed. Then, a trap-door opens below. The mechanism is triggered by a button in an adjacent room, pressed simultaneously by several officers, although none is told which button is the “live one” that will cause the prisoner’s fall. The guards assigned to carry out the executions “remember the (inmates’) body temperatures, their breathing, their words… But they must do most of the work,” he told AFP in an interview. And they received no counselling. They are expected to “digest” the execution themselves, Sakamoto explained. Japan is the only major industrialised democracy other than the United States to carry out capital punishment. The system was thrust into the international spotlight in July when the country hanged 13 doomsday cultists but the secretive methods have come under fire for being cruel for criminals, families and guards. Under the law, the death sentence should be carried out six months after confirmed by the top court. In reality however, prisoners languish on death row for many years — Japan has a total of 110 awaiting execution. 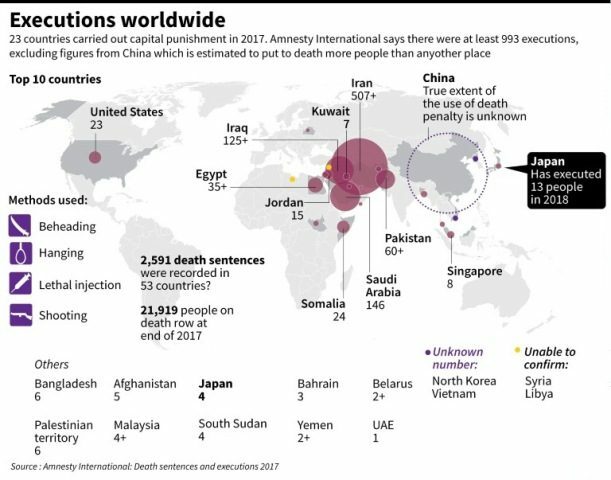 “Prisoners are typically only given a few hours’ notice before execution, but some may be given no warning at all,” said Amnesty International in a recent statement. “Inmates are kept in isolation suffering the anguish of never knowing when they are going to be put to death -– sometimes for decades,” added the pressure group. Families are only informed after the execution, noted Amnesty. 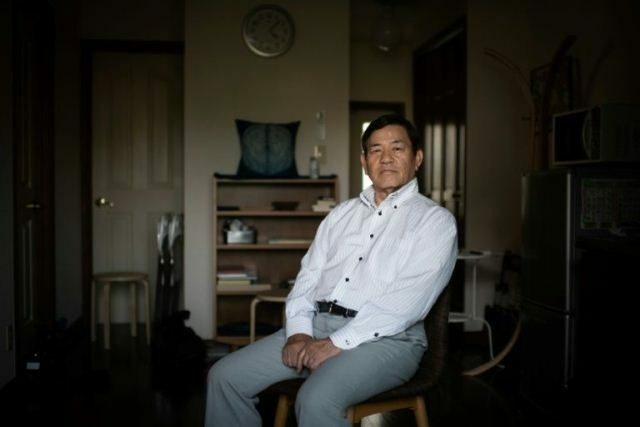 Munehiro Nishiguchi, a convicted murderer whose appeal against the death sentence is being heard in the Supreme Court, said the news of the Aum cult executions came as “an indescribable shock”. “I feel I’m such a pathetically weak person,” he wrote in a letter to Yo Nagatsuka, who filmed a documentary exploring public perceptions of capital punishment in Japan. “I have realised the real punishment or agony from the death sentence is the fear you feel until the day comes,” he also wrote. Former guard Sakamoto notes that a high reliance on confessions and a conviction rate of well over 90 percent allows room for coercion and false charges. 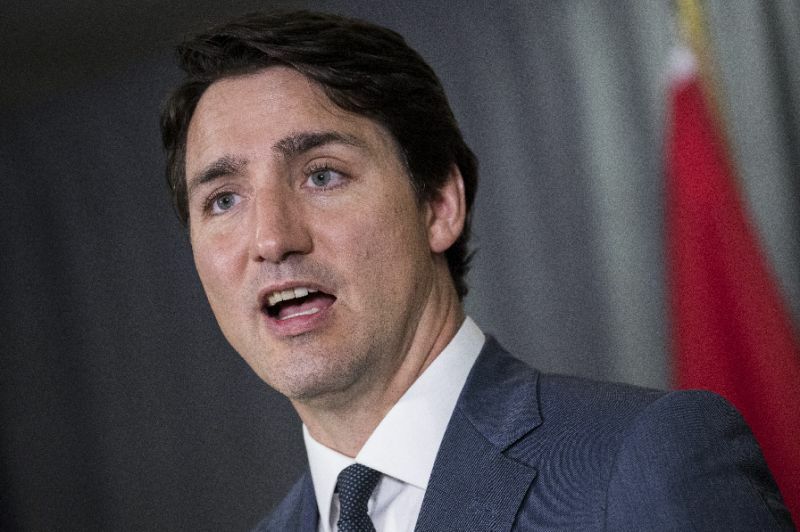 The government cites broad public support as a reason to maintain capital punishment but there is little public debate as the whole process is veiled in secrecy. 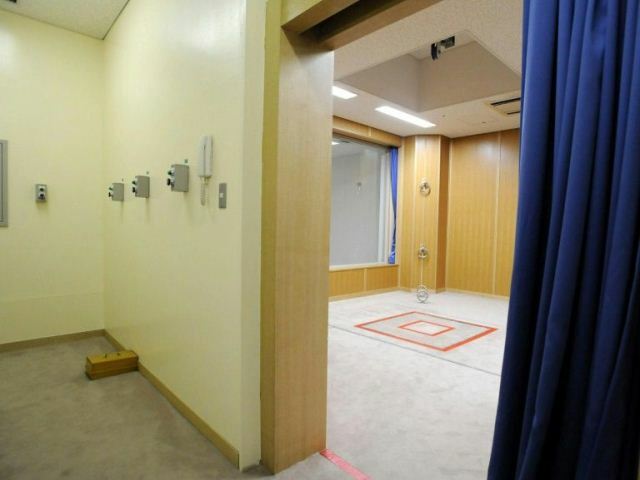 The authorities have just once allowed a 30-minute media visit inside the glass-walled execution room in the Tokyo Detention House, arguably the best-kept among Japan’s seven facilities with gallows. A 2014 government survey of around 1,800 people showed 80 percent thought capital punishment was “unavoidable”, with only one in 10 in favour of abolishing it. But 38 percent thought it should be abolished if Japan introduces life imprisonment without parole — something the penal code does not currently allow. One 62-year-old businessman in Tokyo said it would be “insane” to think of scrapping capital punishment. Kotaro Yamakami, a 25-year-old politics student, said murderers should pay in kind. “There is a saying ‘an eye for an eye, a tooth for a tooth.’ I think it’s unavoidable that those who committed heinous crimes are executed,” he said. But he acknowledged there was an increasing number opposed to the death penalty and urged authorities to consider introducing life imprisonment with no parole. For now, there is no sign that Japan’s leaders are pondering any changes.